The outgoing Chief Justice Nalin Perera was accorded a ceremonial farewell by the Supreme Court today. The judges of Supreme Court, Appeal Court, High Courts, District Courts, Magistrate’s Courts, Attorney General Jayantha Jayasuriya, BASL President Kalinga Indatissa PC, Justice Ministry officials and lawyers were attended the farewell ceremony held at Supreme Court yesterday morning. 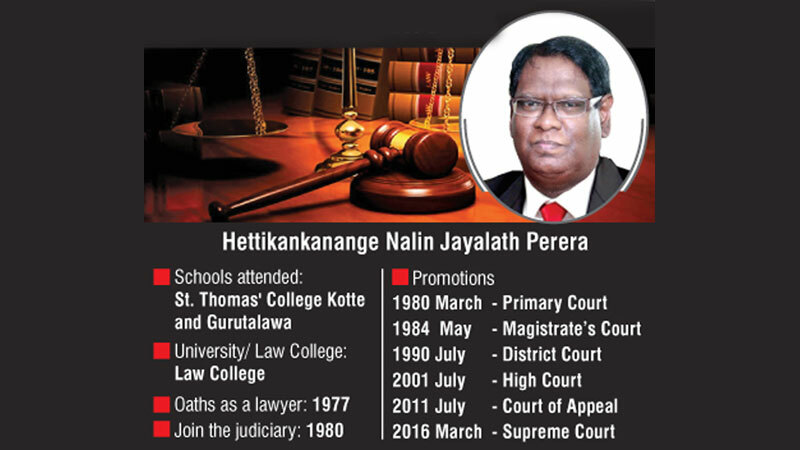 Chief Justice Nalin Perera will retire from service on April 29 upon reaching the retirement age. He functioned as the 46th Chief Justice of Sri Lanka.